Who doesn’t love taking photos of their beautiful chickens? 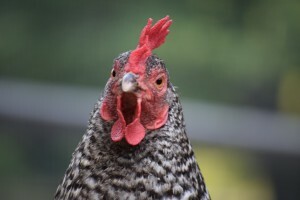 Be honest, if you’re reading this blog, most of the photos on your camera and social media are of your feathered friends, whether they are eating some treats or laying an egg. 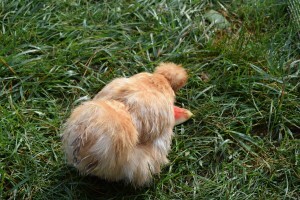 My Pet Chicken has shared some tips on getting good chicken photos before. Now I have some additional pointers… so if you’re interested in learning how to improve your chicken photos, it’s your lucky day! 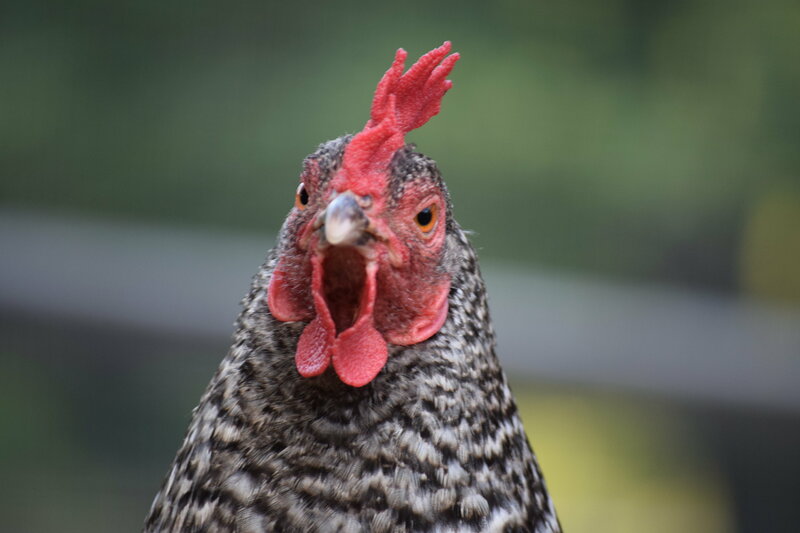 This photo of my Silver Laced Wyandotte hen, Stormie, was taken using Shutter Speed Mode. 1. Use a fast shutter speed. If you’re using a camera with different functions, find your camera’s “Shutter Priority Mode,” and use a fast shutter speed. Chickens are naturally very active animals and it will be hard to take many good photos without a fast camera speed. This will make taking sharp photos of your moving chickens a little bit easier. If you use a smartphone to take photos of your flock, then use a good app designed to take action photos. Even point-and-shoot camera’s usually have “action” or “sports” modes. 2. Take advantage of the nice days and avoid using the flash on your camera. Better natural light will make the photos nicer; plus, you won’t have to worry about the flash on your camera spooking your chickens. 3. Try to use nice natural backgrounds when possible. Nobody wants to see your cluttered garage or tattered lawn chairs in the background of your chicken photo, trust me! 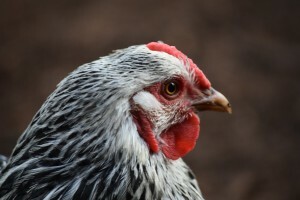 It’s distracting, and your chicken photos will look much nicer with a good background, so your flock’s true colors and plumage can stand out. 4. Bait your photo specimens in with a treat. When you treat them, they’ll be at their happiest in your chicken photos—plus, you won’t have to be chasing them all around your backyard. In this photo, one of my Silkies is chowing down on a some watermelon, which makes for a great photo because she is very happy and I didn’t have to chase her down for a photo. 5. Invest in a clear camera filter/ lens protector. A camera filter is a cover that goes over your lens by screwing on the end of it. This will protect your delicate lens from any unwanted pecks that may come from your photo specimens. They don’t have to affect the quality of your chicken photos, and can be found inexpensively at most camera stores and online. Make sure not to get a colored filter (unless you want it) because it will alter how the photos turn out. The one I use is a simple U.V. protection filter that mostly just reduces glare. If I didn’t have one of these inexpensive filters I would have probably have gone through half a dozen expensive lenses by now, because the shiny lenses are very appealing to chickens! In this photo, Pepper tried multiple times to “eat” the camera. Without a camera filter my lens may have been damaged. 6. Try setting up your own photography studio. Using a spare room or place in your garage, set up a solid colored background, and use lamps to light up the photo subject. This can be hard to do, especially without purchasing lots of expensive photography equipment, but I have still seen good results come out of DIY setups! Check out My Pet Chicken blogger Mary Ann’s photo studio made out of a cardboard box and an inexpensive lamp for some great ideas. I hope you’ve been inspired to try out some of these tips to improve your chicken photos—and maybe your photos in general as well. Be sure to check out My Pet Chicken’s online photo library, which includes professional studio shots as well as customer-submitted chicken photos. #4 isn’t so good unless you like to take pictures of chicken butts.